The serger i was so happy to recieve as a gift for Christmas has been staring at me the last two months, begging to get used. i did try to figure it out one day, but could never really get things going. i have to say the manual it came with was TERRIBLE!! Wow, who would of known how much i could love this machine. 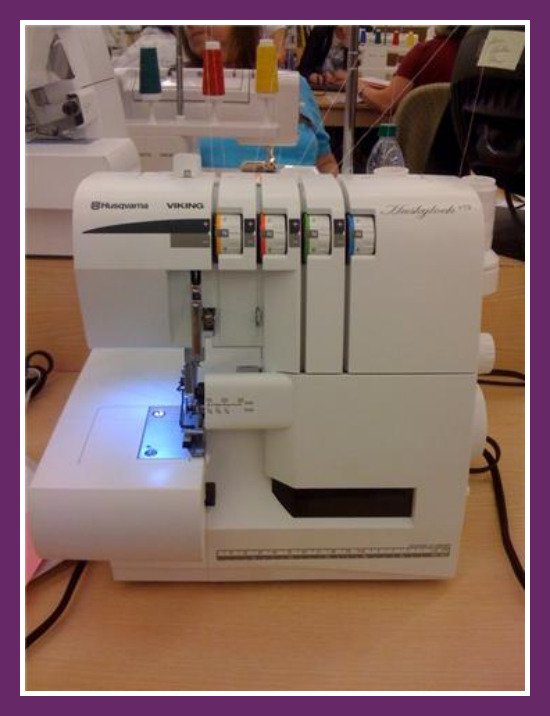 So if you have a serger staring at you, begging to get used- GO take a class, it is so helpful. 1. Don’t be afraid to thread (and rethread)- practice makes perfect; Here’s a little jingle to help you remember how to thread “Upper looper, lower looper, right needle, left needle” It has to go in that order. If a thread breaks you have to go back and ret-hread in the right order. 2. You can gather on a serger (i had no idea)- set right and left needle tension up to higher number, about an 8 on mine and set the dial for stitch length to longer, 4 on mine. It will gather as you go, but then you can pull the two needle threads to gather it more if you want. This will come in handy! 3. Always feed fabric into the machine planning on cutting off at least a small edge of fabric. This will help to make sure your loops aren’t hanging off the edge of your fabric. If your wondering i have a Viking s15. Awesome! I too was given a serger for Christmas 🙂 And yes, it sat there in the box for a month before I acutally had the nerve to open it and attempt to learn how to use it. Quite intimidating at first but I am LOVING it now. 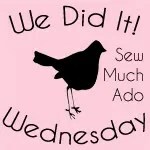 I use it on almost every single project I do…and often more than my sewing machine!